Many of us take time off, for one reason or another, from working. Sometimes, it's by choice - maybe you were raising a child, traveling, taking care of a sick relative, or went back to school. In other cases, your time off from work may occur because you were laid off or fired and it took time to find a new job. What is the best way to explain an employment gap on your resume and during a job interview? It depends on the situation and what you did while you weren't employed. Do You Need to Mention a Gap on Your Resume? If you haven't taken a break yet, you can plan it carefully to ensure a smooth return to the workforce. If the gap was in the past, and you've been employed since it occurred, you don't need to call it out on your resume. There is no requirement that you include all your experience on a resume. That's especially true if you've been in the workforce for many years. If you are looking for a mid-career position, an entry level role from decades ago is probably not very relevant. It is, however, very important not to lie on your resume - about an employment gap or anything else. If you lie on your resume, it will probably come back to haunt you. Employers verify work history, and if you put incorrect information on your resume, it'll be discovered. As you can see, the resume doesn't specifically say when the candidate started and ended employment, which can cover a brief employment gap. However, if you're filling out a job application you'll need to be more specific. You'll also most likely be asked about the dates during a job interview, so be prepared to answer accurately. 2. Consider a Different Resume Format: You can format your resume to minimize the visibility of gaps in your employment history. For example, you can put the dates in plain font instead of bold. Or, you can use a smaller font than the one you're using for the company name and your job title. Start your resume with a summary statement and career highlights section, so you are highlighting your skills and accomplishments, rather than when you did what. These small design and formatting choices can make a big difference. 3. Omit a Job (or Two) on Your Resume: You don't need to include all your experience on your resume, especially if you have been in the workforce for years. It's acceptable to limit the years of experience you include on your resume to fifteen years when seeking a managerial or professional position and ten years when looking for other positions. 4. Include Other Experience Gained During the Gap: What did you do while you weren't employed? Did you freelance or consult? How about volunteering? All those experiences count as work and can be included on your resume. List them as you would list your other jobs - with job title, company name, job description, and dates of employment. If you took a class, you could list that in the education section of your resume. Explaining a gap in employment during an interview can be tricky. The best approach is usually to address the issue in a direct and forthright manner. Provide a clear rationale for taking time off if the break was voluntary. 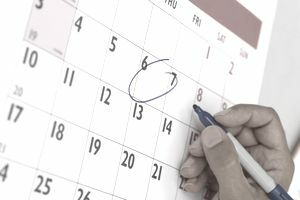 If you took time off to deal with a particular issue like caring for a sick relative or completing coursework and are ready to return to full-time employment, make it clear that the reason for your time off from the workforce has been resolved. If you were laid off due to a workforce contraction, it would be important to provide any evidence of strong performance as you explain the circumstances surrounding the downsizing. Whenever possible, secure recommendations from supervisors, colleagues, and customers confirming your competence. Incorporate these into your LinkedIn profile when feasible. Of course, it will be more difficult to make a strong case if you were fired due to performance issues. If you are now targeting a job that requires different skills or competencies, then you might emphasize how your strengths are better suited for the job at hand. If you have taken action to correct any problems which led to your dismissal, you should mention the steps you have taken to strengthen your abilities. You should generally avoid any negative characterization of your former employer since many prospective employers would take the employer's side. A proactive approach providing evidence of your competence, and any positive recommendations from previous jobs can be helpful. There are ways you can almost seamlessly return to work after a career break. Make sure that you emphasize any constructive activities during your gap period such as volunteer work, workshops or coursework, consulting or freelance work. Finally, exude enthusiasm for returning to work and make a very strong case for why your target job would be exciting for you and an excellent fit. What Is Employment History Verification?